Challenge 6 is a Classical Style Piece. 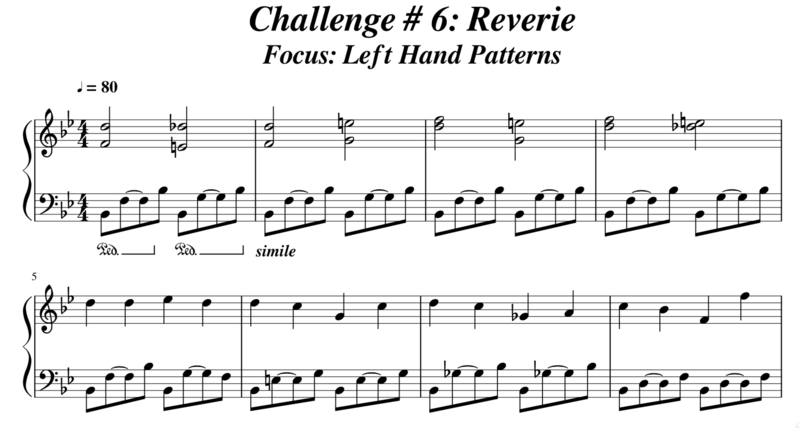 In this video, we feature Reverie as a piano solo, but you can also play it with the included backing tracks. Take a listen to the audio-only demo below to hear it with those tracks. An audio recording of us playing the piece at the performance tempo for your reference. A PDF file of the music notation. A second recording at the performance tempo minus the left and right-hand parts. And finally, a third recording at a slower practice tempo for you to use as you learn the arrangement.